In 1925, while chasing a dream of fame and fortune by turning a Kentucky cave into a tourist attraction, Floyd Collins himself became the attraction when he got trapped 200 feet underground. Alone but for sporadic contact with the outside world, Floyd fought for his sanity and ultimately his life as the rescue effort above exploded into the first genuine media circus. Reporters and gawkers from across the country descended on the property, fueling the hysteria and manipulating the nation into holding its collective breath. 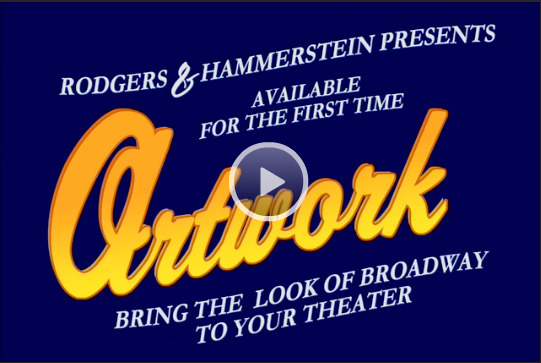 This haunting musical - one of the most acclaimed in recent years - tells the transcendent tale of a true American dreamer. Description Tags: Strong Role for a Leading Man • Musical Drama • Political Satire • Social Themes • Period Piece/Historical • Americana • Something Different • Minimal Sets and Costumes • Classic Broadway • Contemporary • Country & Western/Folk. Cast Size: Small (1-10) • Medium (5-21) • Large (14+). Vocal Demands: Moderate • Challenging. Dance Requirements: Some Dancing Required • Minimal. Good For: High School • College/University • Amateur/Community • Professional Theatre • Religious Organization. In 1996, the musical FLOYD COLLINS opened off-Broadway at Playwrights Horizons, where it ran for 25 performances. The birthday of Adam Guettel, award-winning composer of the musicals THE LIGHT IN THE PIAZZA, MYTHS AND HYMNS, and FLOYD COLLINS. Musicals run in the family: Guettel is the son of Mary Rodgers, and the grandson of Richard Rodgers. The birthday of Tina Landau; playwright and director who wrote the book for the musical FLOYD COLLINS, as well as STATES OF INDEPENDENCE, and AMERICAN VAUDEVILLE. When Floyd Collins sets out to find his fortune under the Kentucky ground, he uncovers fame and notoriety he never expects. Based on a true story, FLOYD COLLINS is a visionary musical about family, faith and the American Dream by Tony Award-winning composer/lyricist Adam Guettel (THE LIGHT IN THE PIAZZA) and book writer/lyricist Tina Landau. When Floyd gets trapped in his newly found Sand Cave, a media circus erupts to fuel the hysteria and manipulate the nation into holding its collective breath. 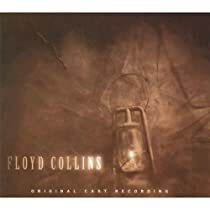 Highlighted in The New American Musical: An Anthology from the End of the Century, and wrapped in Guettel’s complex and invigorating score, FLOYD COLLINS offers a timely haunting legend with modern voices that speaks to the struggles of the American dreamer. American Music Theatre Festival commissioned me to write a piece in 1991 and by 1992 Tina [Landau, co-author of Floyd] and I had teamed up on this idea, which was an idea that we found in a book. It was just one paragraph; it was sort of one of those broad survey compendium books about life in America, and the heading of this little paragraph was "Deathwatch Carnival." The paragraph underneath said "a man trapped in a cave and media circus ensues" or something like that. And that\'s really all we had to go on. Then we found some other research sources, some primary, some secondary, and found the whole thing sort of fascinating, we couldn\'t stop. Dana Williams, who was at that time working at Playwrights Horizons, came down to Philly and saw the show, and she is largely responsible, in a way, for Floyd\'s success in the world. If she hadn\'t seen it and recommended it to Playwrights, they wouldn\'t have done it, and it wouldn\'t have been recorded, and the recording is really the calling card to the show. Consists of characters at the Carnival - Hawkers, Con Man, Jugglers, Sparkplug Eddie Bray, et al. FLOYD COLLINS can be performed with a cast of 11 men and 2 women. Doyle, Bishop and Estes can play characters in the Carnival, and the 3 Reporters can play Locals in the first scene aboveground, various roles in the Carnival, as well as the roles of Cliff Roney, Dr. Hazlett, Frederick Jordan and the National Guardsmen. NOTE: On stage guitar part for No. 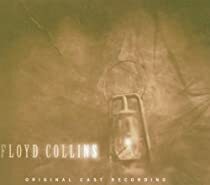 22: "The Ballad of Floyd Collins (Act II Reprise) is located in the back of the Libretto-Vocal Book. *Promotional video rights can only be granted once a performance license for Floyd Collins has been secured. Please contact customer service if you have any questions. 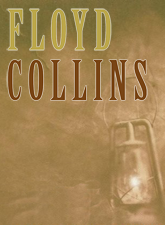 If you have not yet applied for Floyd Collins, you can do so here. LOG IN to learn more.